This large spill weir is on the south, or towpath, side of the canal off the pound just below Dock Lock. 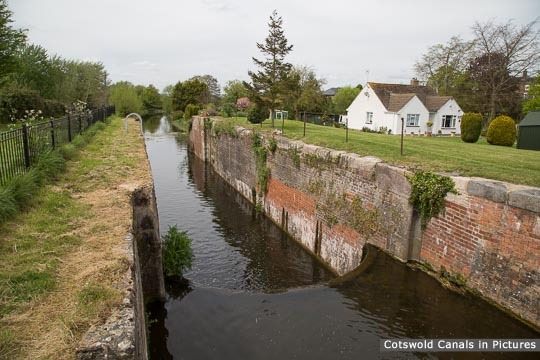 The weir now takes the water from the end of the watered section of the canal above the site of Westfield lock. 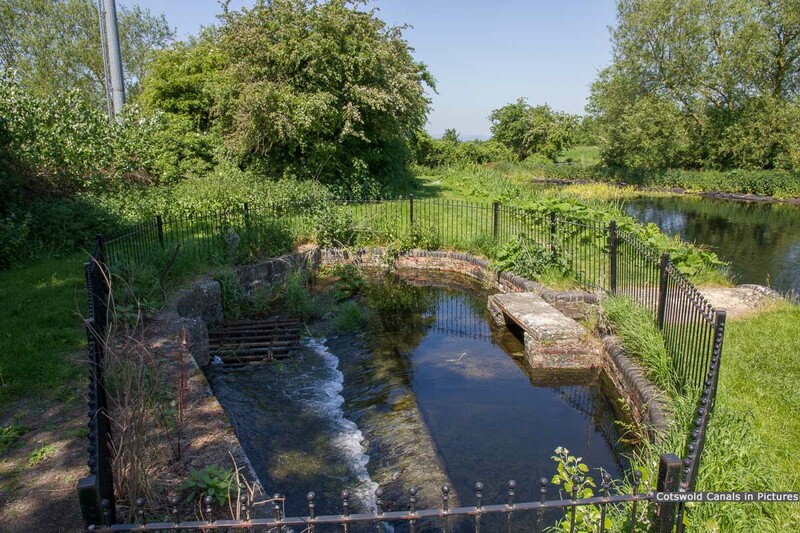 At one time the Oldbury Brook flowed into the canal on the offside and flowed out by way of this spill weir. 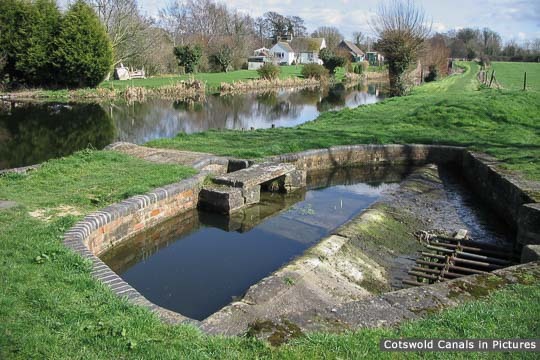 The weir incorporated a side paddle arrangement that allowed the level in the canal to be reduced by about two feet as necessary. 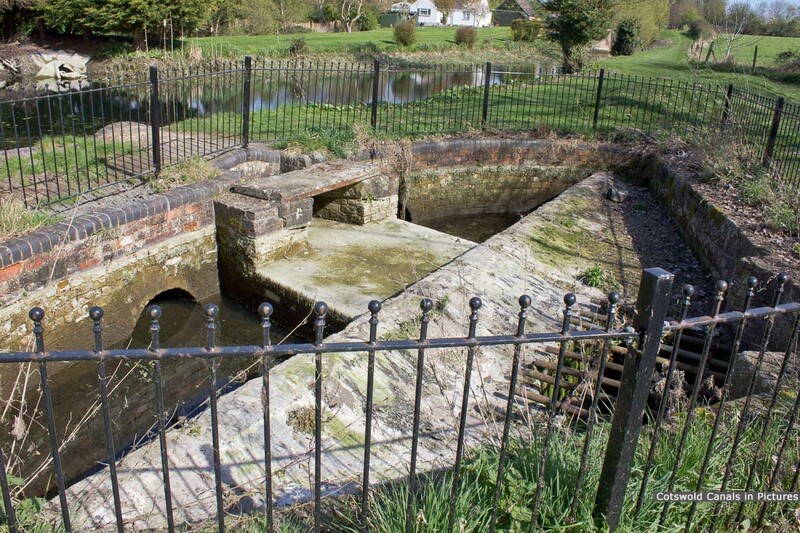 The weir surround is lined in both stone and brick, capped with moulded engineering brick. 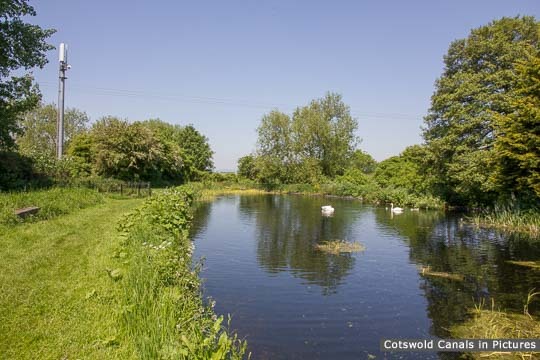 Restored by Cotswold Canals Trust.